With Fulmer as AD we might actually climb out of this hole. We haven’t had leadership in 15 years that understood the importance of investing in quality hires. It will take some time though. Even Fulmer said it would take 2 more classes to get back to being talented enough again. I will confess to being in favor of firing Fulmer at the time. In hindsight, it clearly was a mistake. Having said that, this man has given his life to this university. I have never questioned his love and loyalty to UT. Having him as the AD gives me a tremendous amount of comfort and confidence going forward. He won't do anything to hurt this school. UT sports is in good hands. Amen! Amen! Randy Boyd quickly jumped in and obtained financial support from donors to keep Barnes here. He is a good business man and a UT graduate. Boyd would have made a better Governor than the Auburn jerk Lee. Get this when the SEC Mens Basketball tournament was held in Nashville, Governor Lee invited the whole Auburn group to the Governors mansion and totally ignored Barnes and the whole UT basketball team. We need to replace Lee when his term is ended and elect Boyd. That just showed a complete lack of common sense. class, dignity and respect to the people of Tennessee that the governor would invite a team from another state coached by a man that disgraced our state, our university and our program. I never voted for Lee and never will but he should have had them at his personal residence in Franklin if he wanted to entertain them. Like every other hire made by Tennessee, people are celebrating Phil as a success before he's earned it. Did he say anything about Guarantanno? Yes. Right before he jumped out of the plane. Thank God for Phil Fulmer and his wisdom in knowing how important what he said is and then going about changing the culture and mindset around it. He understands how important it is and how everyone in the power structure has to be aligned for this to work...from the UT system President to the chancellor to the Board to the AD to the head coaches. Thank God he’s there or we’d have no chance of seeing UT athletics get back to being competitive again. Phil made the great point that the University has lacked the alignment you described since 2003, meaning since Doug Dickey retired. Throughout those dark years our athletics programs languished in the hands of empty suits and bean counters. Phil should know this better than most since he was a victim of all that. It's refreshing and encouraging to finally have a sports professional, someone who understands what's necessary to win at the highest levels of collegiate athletics, back in charge of our athletics department. I don't think it was a mistake to dismiss Fulmer. He had become complacent in recruiting, I guess he may have thought the best would just want to play at Tennessee. While I have a lot of respect for him, his record was achieved during the period when other SEC schools were making the same mistakes Tennessee has been making. When Spurrier, Richt, Saban were hired at their respective schools, Fulmer's record against them was not good. That doesn't mean he isn't the right guy for AD. He has a love for the university that can't be denied and wants all the athletic teams to win. And one other thing that I think may be in play; maybe the bad blood between the Haslam's and Fulmer has been cleaned up. If Randy Boyd, who is a Haslam guy, could help keep Barnes here, I think that could be an indication of that. Just my opinion, don't shoot me please. Does anyone ridicule Saban’s record because Tennessee, Florida, LSU, aTm, etc all had bad coaches? Or even Bear Bryant’s for that matter? That’s my point. He’s pointing out what we all know. It’s not a personal agenda thing towards him, so let’s calm down a little. Didn’t come across that way imo. Came across as you taking a shot at literally the one man on that campus in a position of leadership who gets it and is able to unify all the others behind him to finally get this hell hole called Tennessee athletics fixed. He is off to a pretty good start. What do you mean “no ish Phil”? If you’ve got one eye and a grain of salt and watched UT athletics for 10 minutes over the last 10 years, especially the football program, you know that absolutely no one affiliated with Tennessee, not one person, showed any sign of recognition of this point. That’s the secret to winning. 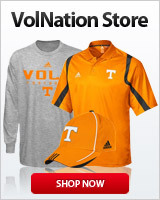 Few schools match Tennessee in total AD facilities but they’ve made some horrible “people” decisions. Hopefully those are in the past. He did make great comments. This being a good one. The other " The President, Chancellor, AD, and entire staff are in alignment, which hasn't been the case since 03." That for me was very telling. I have to agree. But you have to give him credit for stepping up to the plate when Barnes was pitching a curve ball. And he hit it out of the park. The numbers don't lie, we are 62-63 since we fahr'd Fulmer as HC. We were 186-61 in the 20 seasons prior. Even if you look only at the bad Fulmer years, 2002-2008, we were still 23rd in wins for that 7 year period with 2 SEC east titles. Since then we are 74th, firing Fulmer was a horrendous, horrendous decision. I can't believe people still defend it. Yeah, I read that as the typical "No S*** Sherlock, or thanks Capt. Obvious, water is wet, etc." I didn't see it as a dig at Phil. Those are responses even friends and family throw at each other. On another note, I read on here yesterday that water isn't actually wet itself. So after listening to C/AD Fulmer in the pressbox.. I began to think about the program since 03'.. It was a steady decline.. Then I thought on after C/AD Fulmer was dismissed and all the coaches thereafter. At the time of each coaching change, I always believed that Tennessee would be turning coaches away during a search because Tennessee has the traditions, the facilities, and most importantly the money... But...... That didn't happen and I often wondered why... After C/AD Fulmer comments.. Now I wonder if coaches wouldn't touch Tennessee because of the administration they would be working under during this time... It is all interesting to say the least.. It's just weird to me that so many people use a meme of a guy from Edna, Texas as the epitome of in your face authority. The firing wasn't mistake. The subsequent hires were. I will admit that the firing was a mistake seeing as how they did not have a clear plan as to how to improve the situation. That's just it, firing coaches is a lot like playing black jack and deciding whether to stay or hit. Fulmer was a good coach, good enough that when he had the right players he could win it all, was he the best coach in the history of college football? No. Was he the best coach in the game at the time he was fired? No, but his track record was such that he didn't look up at many. Fulmer was an 18 not a 21, but we chose to hit and busted. The odds were very good that was what was going to happen. It was unlikely that we would get a better coach, in fact, we got several much worse ones.